Looking for proven professionals to provide component level to full system repair and/or replacement for your electronic technologies? 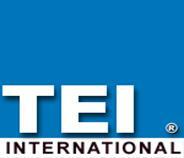 TEI International, Inc is one part of the EIC Global family of companies. Please click on the links below to go to the respective company’s Home page.